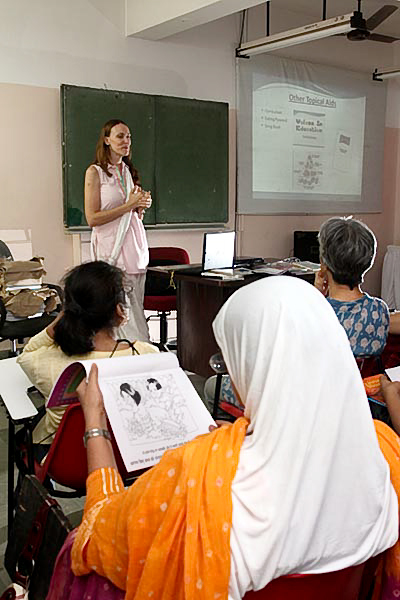 The program consists of a unique library of audio visual aids, books, audio CD’s, activity sheets, as well as a holistically based curriculum to weave the VIE library into a learning plan that can be adapted and intergraded into any educational institution’s syllabus. 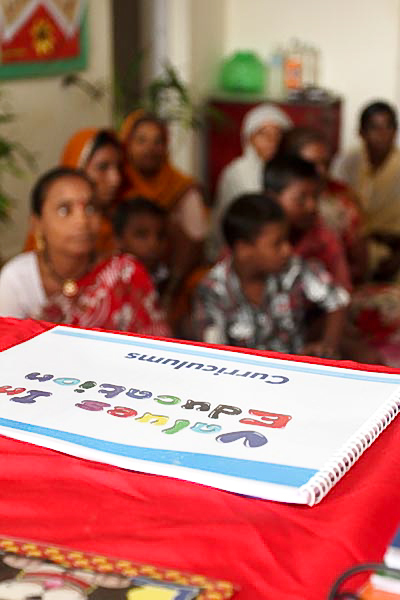 Coupled with workshops for teachers, volunteers and social workers, we provide training in the use and implementation of the curriculum. Thanks to Activated Ministries in 2012 we received sponsorship for 15 libraries and we have visited 14 new institutions, providing presentations and in-depth explanation of our program, as well as campaigning the need of moral, character and value education. As a result, nine new institutions/centers have received our library and one charitable school which had our library from 2010 requested an additional library for their new wing of 3rd/4th/5th graders. Visiting with this needy orphanage was a highlight for Jijiya Rai and me. 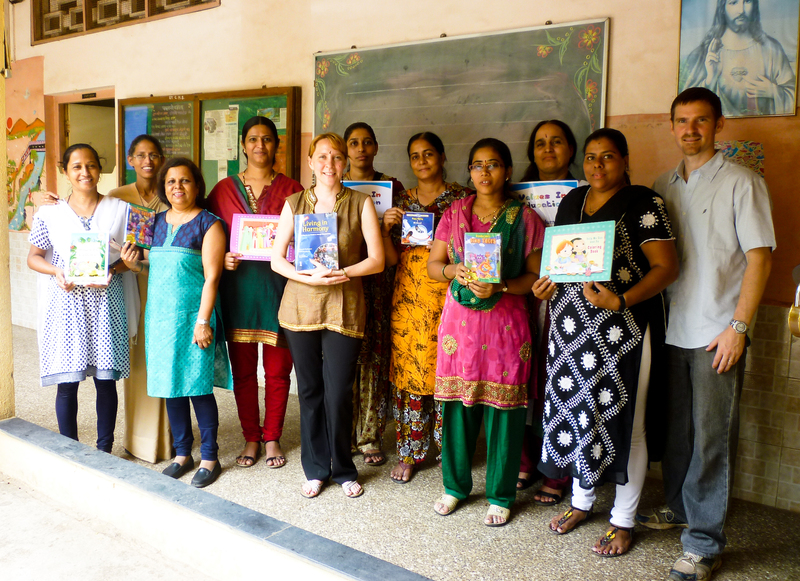 We explained to the teachers and care givers the entire content of the library, featured one of the Treasure Attic episodes in Hindi to the group of children and demonstrated a VIE session of discussion and circle time with the 80+ children who are cared for by the committed staff. This school educates more than 800 students from 1st to 10th grade. We have had extensive interaction with the principal, and she showed a great desire to use our VIE material and incorporate our library into their curriculum. So on a rainy day in July we met with their teachers and presented the library, giving many examples of how to utilize its contents. They have about 200 children in the first four grades which will benefit from the library. In 2010 we installed a library and conducted teacher training sessions at this establishment. This year the principal requested for an additional library for their new wing of 3rd/4th/5th graders which educate more than 600 children. 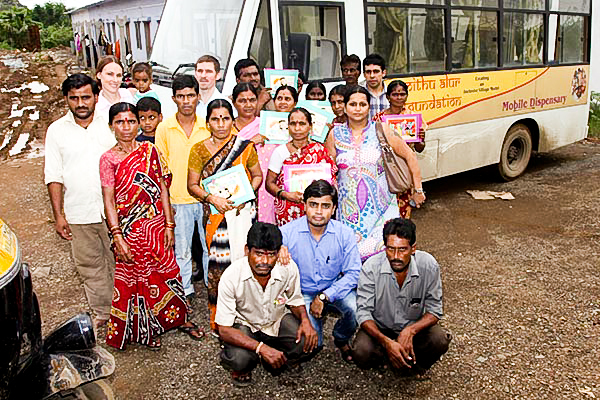 The delivery was conducted as well as a teacher training workshop for the nine teachers who attended. St. Catharine School has already called back with appreciation and confirmation that it is being used every week for the moral science curriculum. 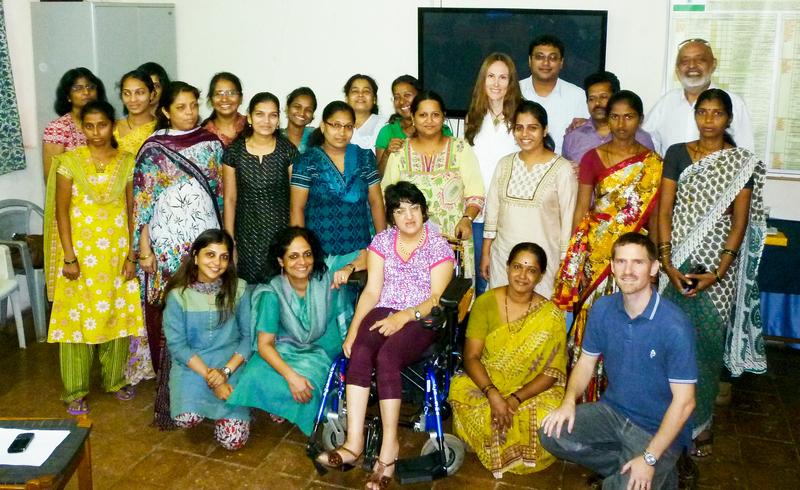 We were able to install and hold a Values in Education presentation with 24 ADAPT teachers in Colaba. We were also able to visit their Centre in an outlying village and hold a teacher parent workshop for 30 parents and teachers. 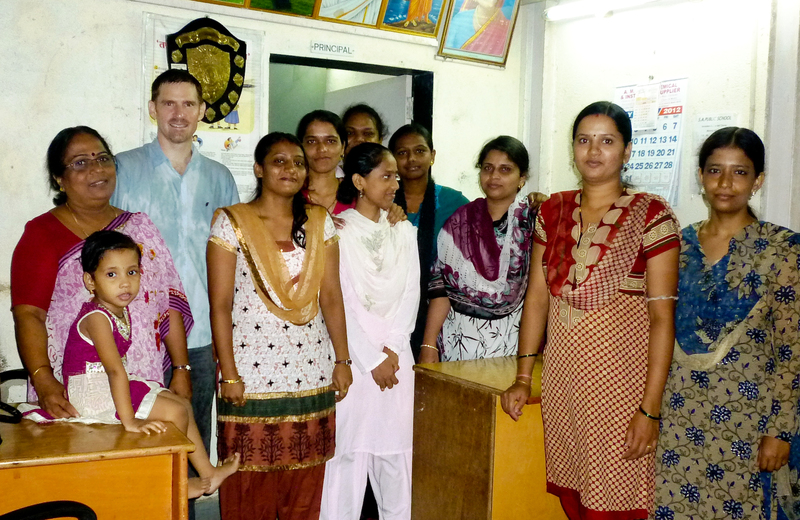 The response was so phenomenal that we visited with their largest centre in Bandra holding a workshop with 18 of their teachers and social workers, delivering a total of 3 libraries in July to this organization. They have expressed that this quarter -- Value Education -- is an area that has not received due attention and thus an extremely needy focus area that fits so well with their campaign message of being inclusive. There thoughtful feedback of so much encouragement inspired us to continue to pursue our VIE vision, not only for their institution but for the millions of needy children here in India. The estimated reach for these 3 libraries is more than 300 children. 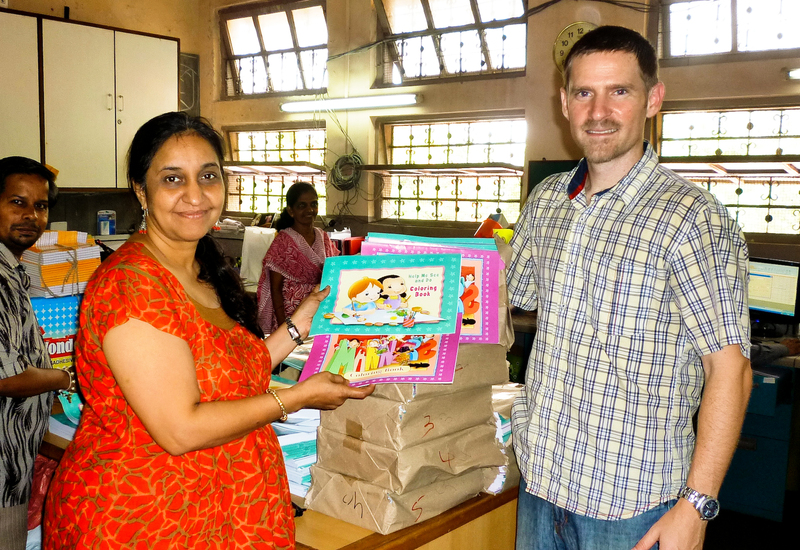 In August Mark made a trip to Madurai to meet with Daniel and Renu who manage Family Care Coimbatore, the local foundation which VIE is in partnership with for 2012. 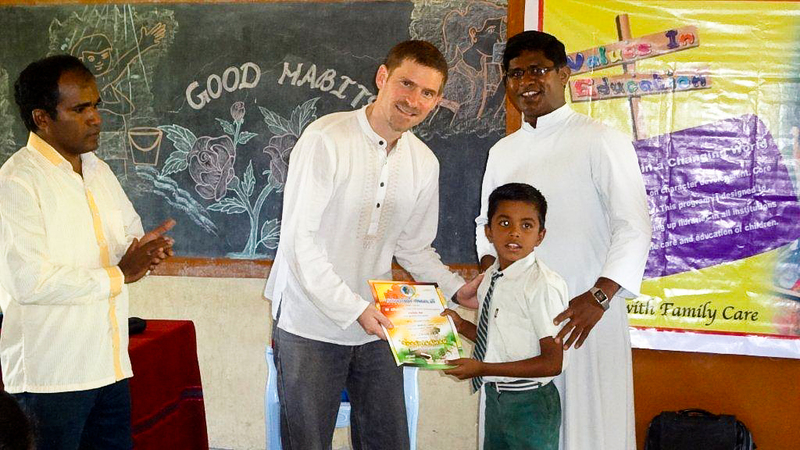 I travelled with Daniel to three schools and stayed at a seminary house of the Claretian congregation, a Catholic order which some of us have worked with since the Tsunami disaster of 2005. They operate a values and moral education outreach program in 10 villages around about the region where their young teaching groups reach more than 350 children. The response has been very good and they were so excited with the presentation and material that they begged for two libraries as the content had to be shared with 5 teams, each covering two villages every Sunday. Claret’s Primary School with a reach of 510 children who will benefit. Claret’s High School with a reach of 200 children who will benefit. Fatima Convent Matriculation School with a reach of 312 children who will benefit. Claret Bavan with the values and moral education outreach program for younger children in 10 villages with a reach of 350 children who will benefit. 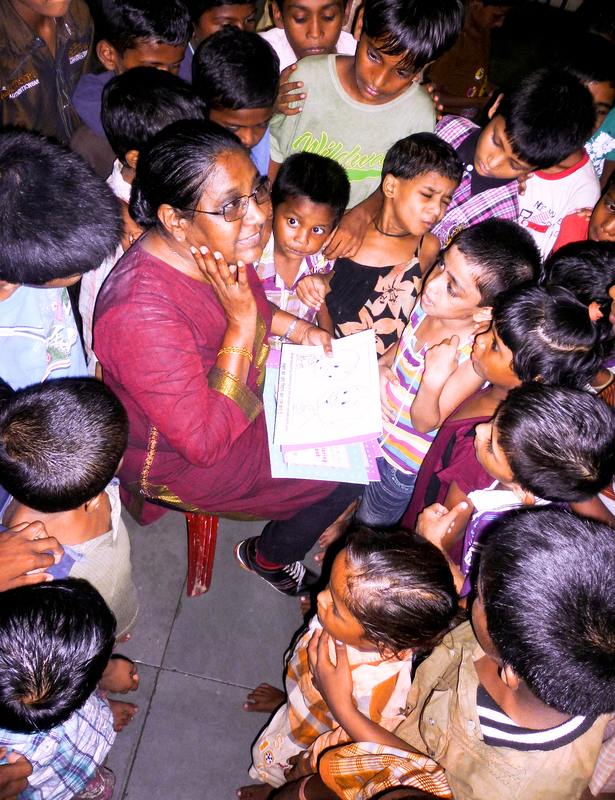 To wrap up our reach so far this year, we have delivered 11 libraries with a reach of 2,552 children. We have spent some time looking into and budgeting the translation of some more of our VIE materials, so that it’s content will be brought up to 90% Hindi/local language in closer tandem to the 100% English format. 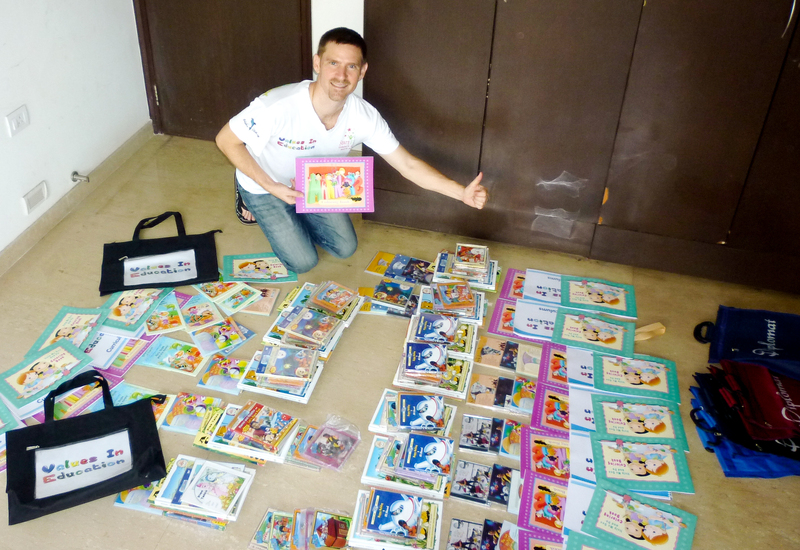 We have also conducted two VIE interactive sessions for 70 children, a workshop for the YMCA outreach and development program of 12 teachers working in the slums and poor area of Mumbai central, and delivered 600 Manners & Healthy Living coloring books to Door Step School foundation to be used in their new single-room Blawadis. Thank you for making all of this a reality!